How did I not know about bagon de gata? How did I miss out on this Zamboangueño sawsawan? Bagon is Chavacano for bagoong. Chavacano is the creole language spoken in Zamboanga, based heavily on Spanish. Bagon de gata is bagoong alamang, or salt-cured shrimp, simmered in gata, or coconut milk. Bagoong alamang is cooked slowly in gata until it thickens and separates into bagon de gata and coconut oil. Bagoong with gata isn’t new to me. My mom seasons ginataan with bagoong alamang to give it another layer of flavor, like in ginataang kalabasa at sitaw, or stew of squash and yard long beans in coconut milk and in ginataang langka, or stew of young jackfruit. Paksiw sa gata, a fish stew made with vinegar and coconut milk, goes well with a spoonful of bagoong on the side. The salty sawsawan balances the sourness and subtle sweetness of the stew. Bagoong with gata is a familiar flavor but I’ve never had bagon de gata before. Well, I’ve never been to Zamboanga, in Mindanao, in southern Philippines either. Most of what I know about Zamboanga I read from books in school when I was little. I used to think Manila, where I am from, and Zamboanga were worlds apart. I remember being fascinated reading about exotic Zamboanga and its seafaring, pearl-diving people, and wondered what it would be like sailing in their colorful vintas, and living in their villages built on stilts in the sea. And, now, I am irresistibly drawn to Zamboanga’s bagon de gata. 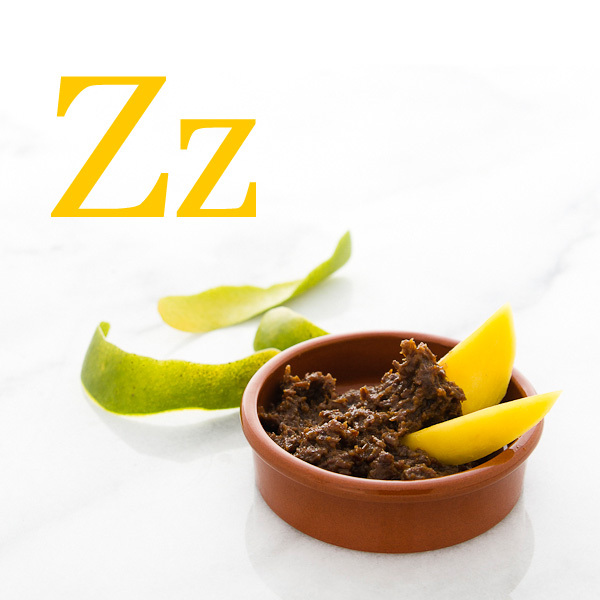 The coconut cream lends its sweet flavor and fragrance to the otherwise intensely briny bagoong. 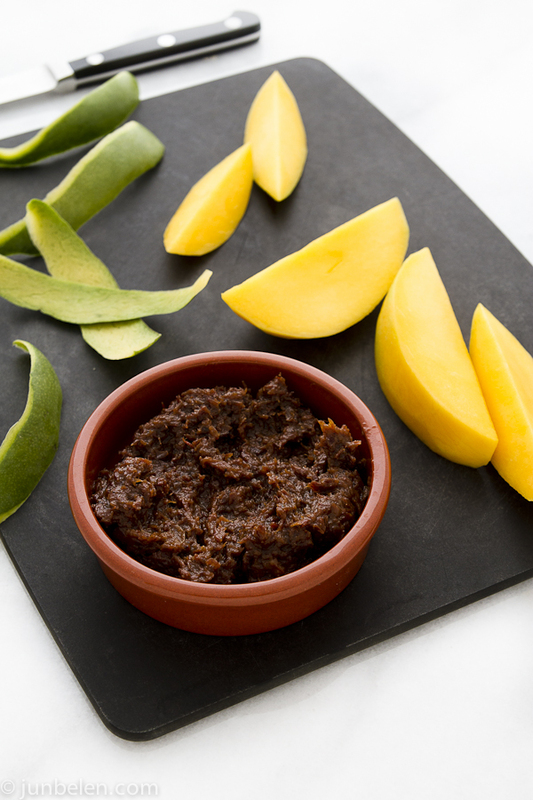 With green mangoes, it is bagoong bliss. Sweet, salty, and sour all at the same time. In fried rice, it adds a rich, creamy layer of flavor. It is a delicious discovery, indeed. Combine bagoong alamang, coconut milk, and brown sugar in a wok or a pan. Bring to a boil over medium to high heat then reduce the heat and let it simmer until the mixture thickens and coconut oil separates, about an hour. Stir every now and then to keep bagoong from sticking to the wok. Drain the coconut oil, which can be used for sautéing. Keep bagon de gata in an air-tight container in the refrigerator. It started with atsuete and, now, ends in Zamboanga. 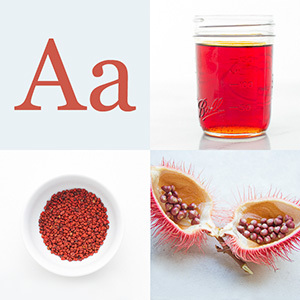 The Filipino food alphabet is now complete. Filipino food in 25 letters, in 25 recipes, in 25 stories. “A stunning alphabet of Filipino food,” wrote the New York Times. I hope you enjoyed reading the essays as much as I enjoyed writing them. Stay in touch for a new series coming out soon. Scroll up and on the upper right corner is a place where you can subscribe for email notifications. My mouth is literally watering as I read this post AND look at the gorgeous picture of mango and bagoong! Yum! Thank you for the geography lesson too! Like most people from Manila, I don’t know too much about the other remote parts of our island nation so I appreciate more learning opportunities. Congratulations on completing the alphabet! I can’t wait for the next series. Cheers! This is one of our (family and me) favorite! That Bagon de Gata, manggang maniba and fried tilapia! We call it manggang manibalang — so good! Mangoes that are almost ripe with bagoong are the best. Sour but not too sour and a little sweet. My mouth waters every time I think about it with a spoonful of bagoong. Sorry to see this end, Jun! It’s been a fabulous series! This looks exactly like what my mom would eat all the time. This looks great! I am going to miss this series, has been not only delicious but so educational in an area of food that I am not familiar. Thank you for all the hard work and for sharing a bit of you with us. Thank you for writing, Samantha! The good thing about the series ending is that I can start a new one! Thank you for creating the Filipino food alphabet! I have learned so much about Filipino cuisine and feel that the alphabet has made me appreciate my heritage even more. Can’t wait for the next series!